Căutare și înlocuire standard de icoane folder sau orice altă pictogramă. Pentru a proteja datele, bloc folderele specificate, de a Crea Criptate. Dr. Dosar este o bucată de software care vă permite să căutați și înlocuiți standard icoane folder sau orice altă pictogramă. Ea are un frumos și interfață prietenoasă. Acesta este un software puternic și ușor de utilizat. Puteți schimba pictogramele de foldere rapid și în mod liber doar făcând clic pe câteva butoane. Deci, cu ajutorul Dr. Dosarul poate economisi timp. Face dosare uite plin de viață, astfel încât alții să invidiez aspect frumos. Licența este prevăzută pentru 1 an și poate fi folosit pe până la 5 Pc-uri! 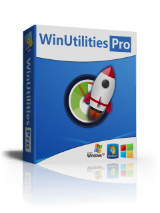 WinUtilities Pro este o colecție premiată de instrumente pentru optimizarea și îmbunătățirea performanței sistemului. Această suită conține utilitare pentru a curăța registry, fișierele temporare de pe hard disk, șterge aplicația și browser-ul de internet istorie, cache-ul și cookie-urile. Acesta susține, de asemenea, pentru a defragmenta hard disk-urile și registry pentru a îmbunătăți performanța și stabilitatea computerului. Built-in Startup Cleaner vă permite să controlați programele de pornire care se încarcă automat cu windows-ul, găsi fișierele duplicate, repara comenzi rapide rupte și dezinstalarea software care nu sunt necesare. Mai multe caracteristici includ ștergerea sigur dosar, recycle bin, mărunțirea, operații de mentenanță și recuperare fișier. Seems attractive for a year, after which the license ends, and our folders and icons will become a confusing mixture of modified and unmodified versions, worse than now. So as far as I am concerned, better leave them as they are. Downloaded and Registered the software with the key Provided . You can Restore your Icon's to the default one . The Thing is that Windows Can do all that for free !! Downloaded and Registered the software with the key Provided . Can change folder or Multiple folders Can use Program icons or Read the included info to add yours Can convert PNG , JPG, GIF,BMP to ICO You can Restore your Icon's to the default one . The Thing is that Windows Can do all that for free !! How does this stack up to FolderIco? Also, what does the 1-year license include? Does that include free upgrades? Will the program still function as normal, or does it revert to a trial after the license expires? A few questions: How does this stack up to FolderIco? Also, what does the 1-year license include? Does that include free upgrades? Will the program still function as normal, or does it revert to a trial after the license expires? The localization of the website is terrible, compared to the localization of the program itself, that's not the best impression one can get. In the manual they show you how to add your own icons (to User Icons group list entry) but they don't show you how to add a whole new entry to the group list. There is a comment from a previous offer that explains how to do it. And i totally agree with that comment that there should be a simple button for it and a much better group management for the group list in general, like sorting by name, adding and removing folders from the group list, utilizing drag&drop to/from the group list itself or selected folders icons content, renaming of group list entries etc. The management part is just lacking and too cumbersome and not user-friendly enough (if one has to edit folder names and language files), due to the present hard coding. Especially since there are so many different categories for icons, it makes sense to group them but the existing entries aren't enough, imo. Give the user more options and it can be a much more decent program. The localization of the website is terrible, compared to the localization of the program itself, that's not the best impression one can get. In the manual they show you how to add your own icons (to User Icons group list entry) but they don't show you how to add a whole new entry to the group list. There is a comment from a previous offer that explains how to do it. 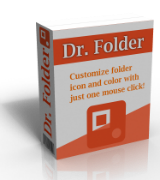 https://www.giveawayoftheday.com/dr-folder-2-5/#comment-582905 And i totally agree with that comment that there should be a simple button for it and a much better group management for the group list in general, like sorting by name, adding and removing folders from the group list, utilizing drag&drop to/from the group list itself or selected folders icons content, renaming of group list entries etc. The management part is just lacking and too cumbersome and not user-friendly enough (if one has to edit folder names and language files), due to the present hard coding. Especially since there are so many different categories for icons, it makes sense to group them but the existing entries aren't enough, imo. Give the user more options and it can be a much more decent program. 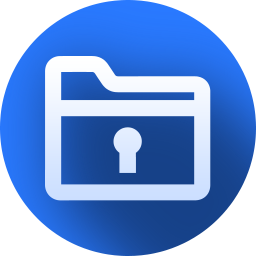 It is easy to customise you own icons under Windows for any folder or exe file. Why would anyone want this software that stops working in 1 year? It is easy to customise you own icons under Windows for any folder or exe file. Why would anyone want this software that stops working in 1 year?